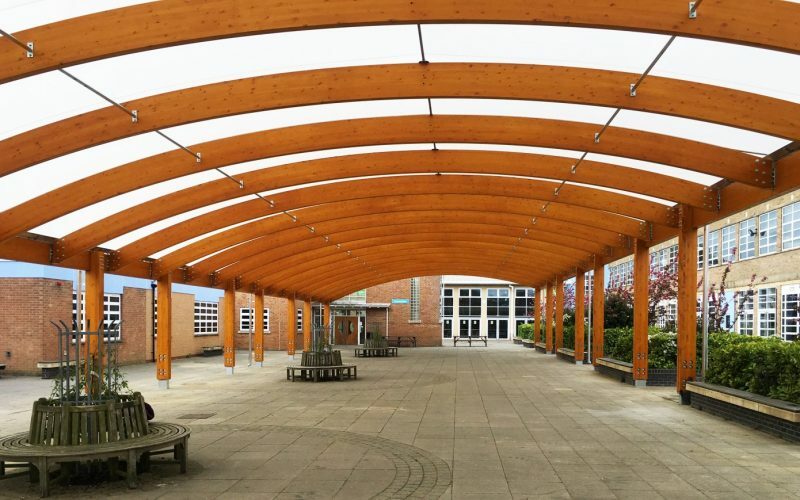 Fordingbridge were approached by this returning client following the successful installation of octagonal timber canopies elsewhere in the college, to deliver this large span courtyard canopy during a school holiday. 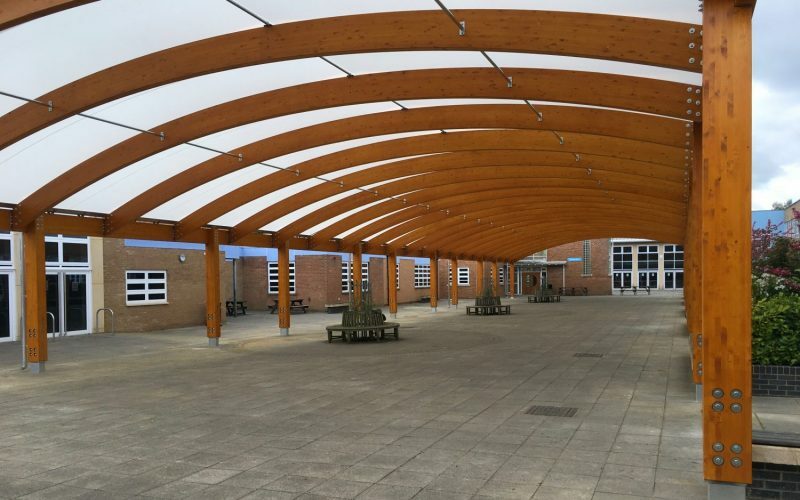 The structural timber canopy is completely free standing, requiring no adjustment to existing buildings and also simplifying the planning application process. 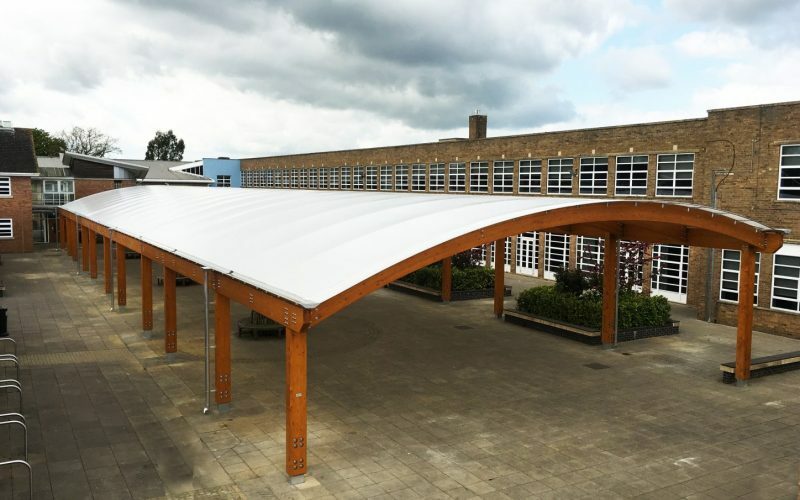 With the patented Opal 60 roof covering, the Fordingbridge timber canopy provides excellent protection from rain and snow, while also cutting out harmful UV during the summer months. The canopy is situated on a fire access route and, with this in mind, was designed to such proportions that a fire engine could pass underneath to allow access the main building in event of an emergency. This foresight and planning is a great example of how our experience can make a difference to your project.